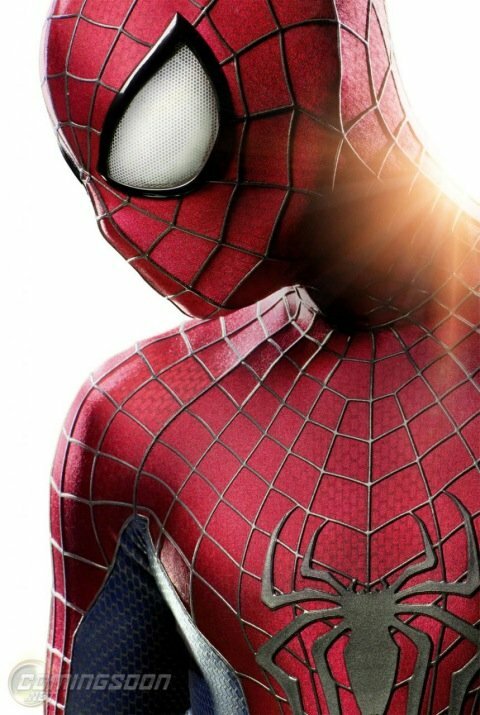 Spider-Man fans can’t complain that Marc Webb’s being too secretive when it comes to his highly anticipated The Amazing Spider-Man 2, which currently is filming in New York City. The director’s Twitter feed has been abuzz with visual activity ever since Webb started production. And on Day 15, the filmmaker shares his best pic yet … an exclusive first look at Spider-Mans redesigned costume. The image was shared via ComingSoon, and delivers on a few of the elements Webb had teased: Bigger eyes in the mask; sharper lines on the costume; and a more pronounced chest spider that feels more in line with the Ultimate universe (of which Webb admits to being a huge fan). It looks fantastic – probably my favorite version of an on-screen Spider-Man costume yet. Now we just need to see it in action. Speaking of “action,” one of Webb’s cast members, Dane DeHaan, spoke to the New York Times about his physical preparation for the sequel. It sounds like young Harry Osborn is going to be ripped. Right now it’s just about getting all my work done and bulking up a little bit. I’ll start shooting fairly soon in New York. I work out incredibly intensely six days a week and I eat every two hours. Mostly proteins and veggies. I consume at least 3,000 calories a day. I’ve already gained seven pounds in six weeks!" Perhaps he’s trying to fit into a Goblin suit? Or a Venom costume? We still don’t know Webb’s plans for Osborn, who’ll be best mates with Peter Parker (Andrew Garfield) in the sequel. But we do know that The Amazing Spider-Man 2 co-stars Emma Stone, Sally Field, Jamie Foxx, Shailene Woodley and Paul Giamatti. It opens in theaters on May 2, 2014.